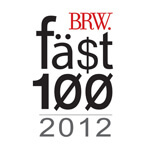 We are delighted to announce that IPAR has been listed in the 2013 BRW Fast 100, coming in at position 40. This is the third consecutive year that our business has made the annual list and is our highest ranking yet (following number 51 in 2011 and number 60 in 2012). This result is made even more impressive due to the fact that only a small number of businesses have been able to make the list for three consecutive years, as it becomes harder to continue rapid growth the larger a business becomes. Neil Hensley, Occupational Rehabilitation Specialist from IPAR Brisbane, has been selected as a finalist in the Q-Comp Return to Work Awards. Neil has been selected as a finalist in the Health Provider Achievement Award – congratulations Neil! 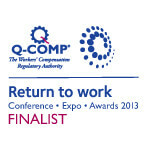 The winners of the Return to Work Awards will be announced at the Awards ceremony on 30 October 2013. The Australian Rehabilitation Providers Association (ARPA) is the industry body which represents all Occupational Rehabilitation providers across Australia. 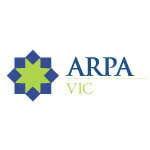 ARPA will be hosting their annual Victoria Awards night on Friday 2nd August at Crown. 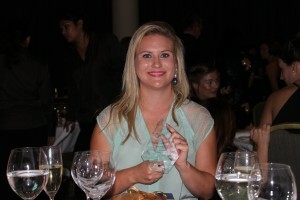 Georgia Mehan, Occupational Rehabilitation Consultant from IPAR Perth, has won the WA Australian Rehabilitation Providers Association (ARPA) Award for Outstanding Consultant in the Same Employer Category. A qualified Occupational Therapist, Georgia joined IPAR in December 2010, having had previous work experience in the areas of mental health, aged care and acute hospital settings (Emergency Department). The WA ARPA Outstanding Consultant Award was measured on a combination of outcomes and employer / worker satisfaction. Another main reason behind Georgia’s nomination was her work with indigenous clients, mostly referred by DHS. Congratulations on your outstanding work, Georgia! IPAR now has ARPA winners right across the country. IPAR has retained the highest possible 3 Star Ratings for both Original Employer Services and New Employer Services in the September release of occupational rehabilitation provider Star Ratings by Worksafe Victoria. This is the second quarter running that IPAR has achieved the ‘perfect score’ of 3 Star Ratings across both service streams. This outstanding result sees IPAR as one of only three 3 Star providers in Victoria for Original Employer Services, and one of only five 3 Star providers in Victoria for New Employer Services. We are delighted to announce that for the second year running IPAR has been listed in the Business Review Weekly (BRW) Fast 100 List. The BRW Fast 100 ranks Australia’s fastest growing companies, based on their average growth rate over the previous three years. In the 2012 list announcement, IPAR has come in at position 60, with the same average growth rate that saw us listed in the 2011 Fast 100. In order to qualify for the list this year, the minimum average growth rate was 39%, the highest it has ever been. “This achievement is a direct result of the hard work and dedication shown by our staff,” says IPAR Managing Director, David Sagar. In the June 2012 Worksafe Star Ratings release IPAR achieved a ‘perfect score’ of 6 STARS – the highest score possible. 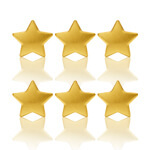 The 6 Stars are made up of a 3 Star Rating for both OES (same employer RTW) and a 3 Star Rating for NES (new employer RTW). IPAR are delighted to announce that in the most recent release of OR provider Star Rating results, IPAR has earned a 3 Star Rating (the highest possible) for same employer services. We are one of only 3, 3 Star providers (out of 33) in Victoria. To the best of our knowledge this is the only independent measure of RTW performance in Australia. IPAR’s outstanding growth was recognised when it made the BRW Magazine’s Fast 100 List for 2011 – coming in at position 51. The BRW Fast 100 list ranks Australia’s fastest growing public and private, small and medium businesses, and is based on growth rates over the previous three years. IPAR’s Managing Director, David Sagar, emphasises that the most gratifying aspect of being recognised in the BRW Fast 100 List is not so much the growth itself, but more what he believes it says about the quality of the service IPAR provides. IPAR has been nominated as a finalist in the QComp RTW awards for 2011. We believe this nomination is an excellent reward for the great work our Queensland team has been performing for all our customers and the great RTW results we have been achieving. For more information on our services and how we can help your organisation achieve outstanding RTW results please contact us at rehab@ipar.com.au or call one of our offices.